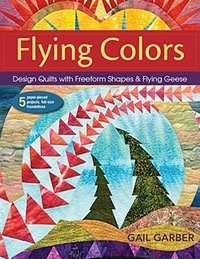 On Sunday, I am off to New Zealand for a week of teaching and three weeks of leading a quilting and textile tour of New Zealand. My bags are packed and I’m ready to go! There will be 16 people joining me. With that many folks, I knew we would need name tags. And no ordinary stick-on tags would do! So, I drew a pattern for my signature tiny tree, paper-pieced mini-quilt with a neck strap that we could use for a name tag. My super creative assistant, Donna, had the great idea to add two pockets, so the name tags would be functional as well as decorative. She also machine embroidered everyone’s name on the tags. Aren’t they cute! I will put a few goodies in the pockets before I give them to the folks on my trip. Wouldn’t these make great name tags for going to a quilt show? Look for my newsletter coming soon for instructions on how to make one for yourself. Very cool! I’ll be watching out for the entery on how to make them. 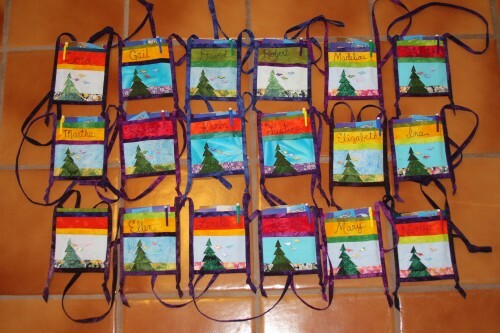 I LOVE these name tags….Was searching for ideas to make a name tag that doesn’t have to be pined. These are adorable. I can’t wait to see the directions for them. I wouldn’t have thought to add a pocket to them….duh…Seems like a logical thing to do. Wish I had thought of that. Thanks for sharing your creation.